Singer of the hit song "Shatterproof,"Julianna Zobrist shows you that you absolutely can be your best self through Christ's love. "I could never pull that off!" How many times have we heard that? How many times have we felt that? Well, if artist and musician Julianna Zobrist had a dollar for every time she heard that, she'd be worth her weight in gold. 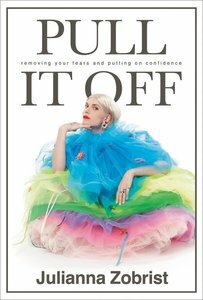 About "Pull It Off: Removing Your Fears and Putting on Confidence"